What type of books do your kids love to read? Do they love to read books about certain types of animals? My daughter, Sophia, loves anything to do with dinosaurs, which is why we threw her a dinosaur birthday party in February. She has her own collection of dinosaur toys to play with. She plays with them every single day. 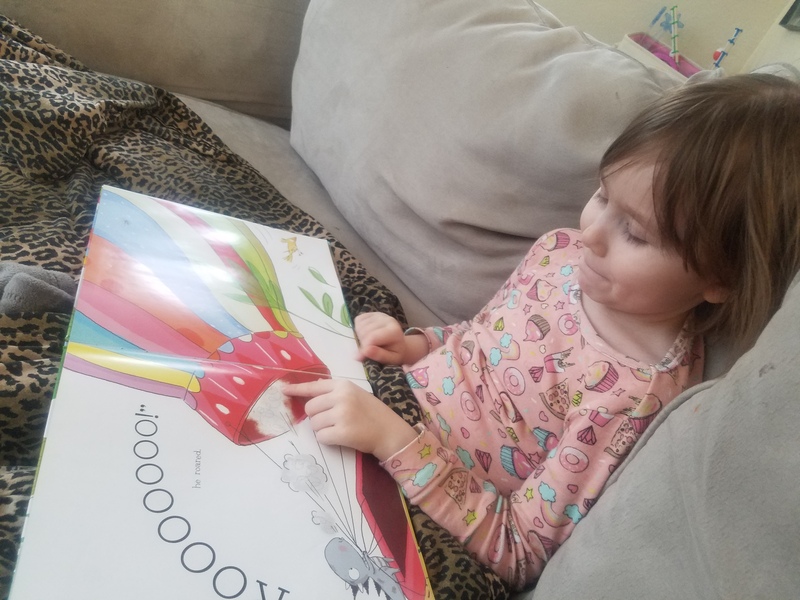 I recently shared with you some favorite children’s books that my daughter, Elizabeth, loves to read. 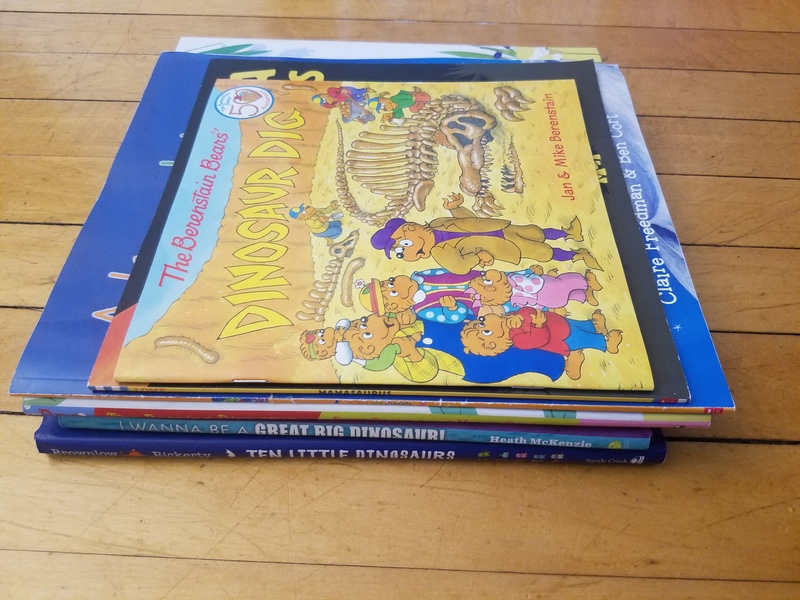 Today I thought I would share with you 6 top favorite dinosaur children’s books Sophia loves to read. 1. 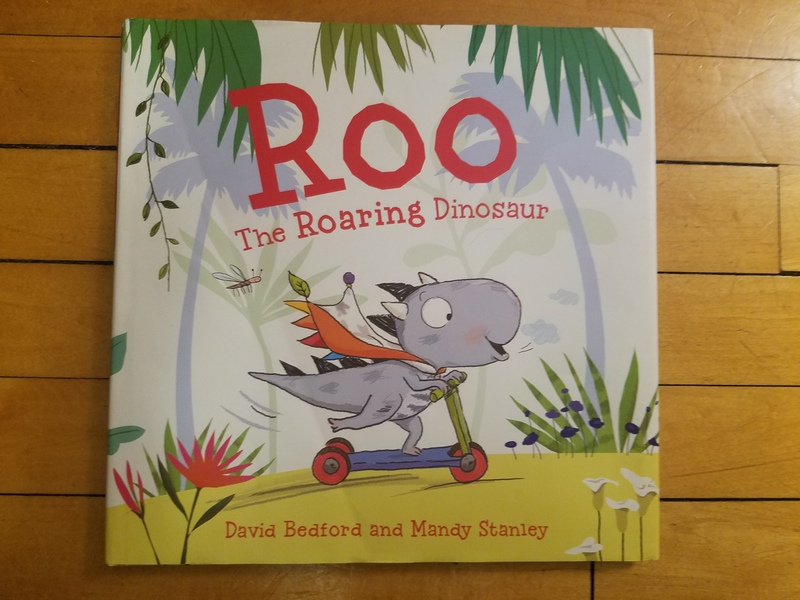 Roo the Roaring Dinosaur by David Bedford and Mandy Stanley. This book is super cute and Sophia loves to read this book all the time. We bought this book at Barnes and Noble. We read this book in my daughter, Katie’s, Preschool class last year. It’s about a dinosaur named Roo who loves his blanket and takes it everywhere he goes. He meets a woolly mammoth who crashes his hot air balloon. Roo must decide how he should help his new friend. I just saw that there is another book with Roo having an adventure with a polar bear. We will definitely have to buy that book. 2. I Wanna be a Great Big Dinosaur! by Heath McKenzie. This is another super cute book that Sophia loves to read. We also bought this book at Barnes and Noble. We read this book in Sophia’s Preschool class this year. 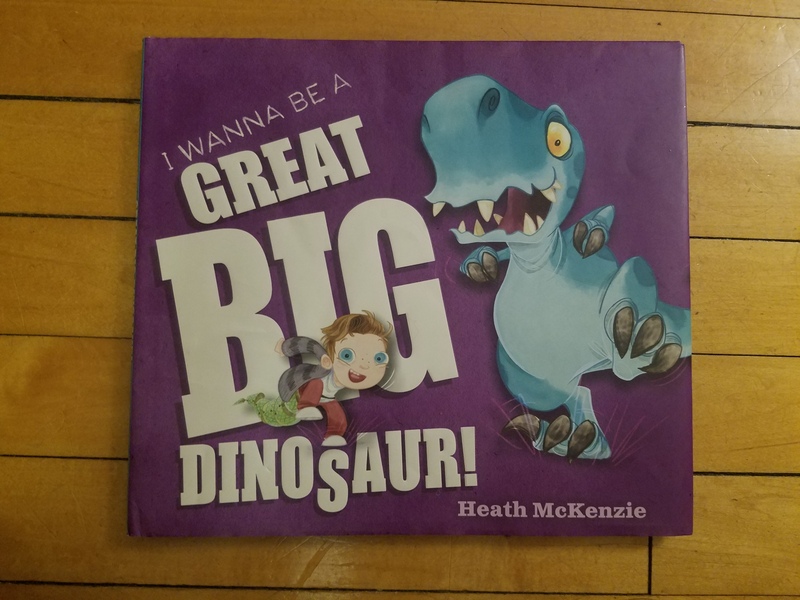 This book is about a boy who wants to be a great big dinosaur. He finds out what all dinosaurs do while at the same time the dinosaur finds out what boys do. At the end, the dinosaur discovers what he wants to be. 3. 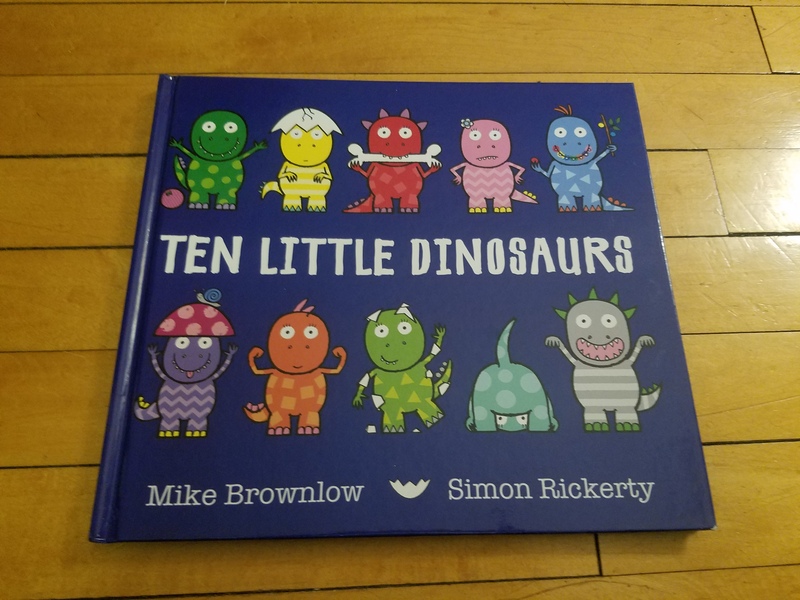 Ten Little Dinosaurs by Mike Brownlow and Simon Rickerty. We bought this book at Barnes and Noble and we also have the ten little princesses book by the same authors. Sophia loves all the different dinosaur characters. Each dinosaur hatch from their eggs and go to explore while their mother is sleeping. They find so many fun areas to explore and separate from each other. At the end, the last dinosaur discovers a scary creature and doesn’t know who it is. The scary creature ends up being someone he knows. 4. 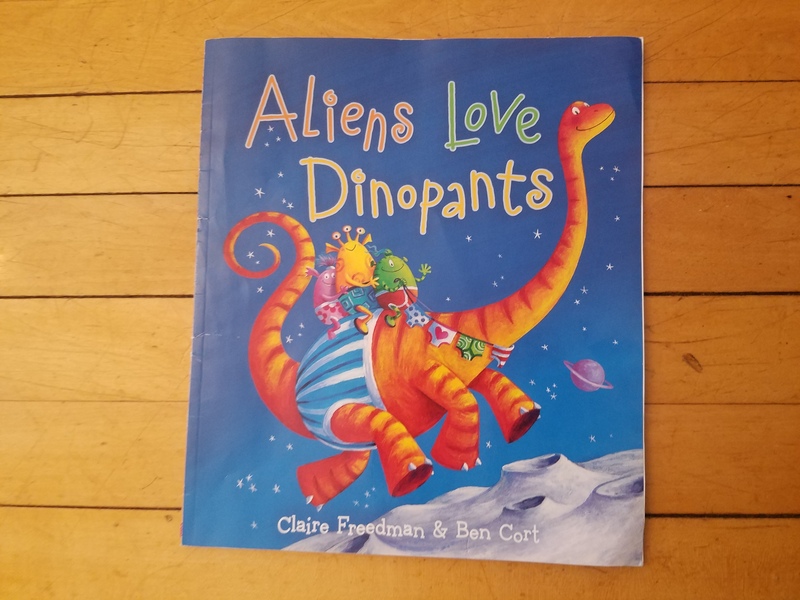 Aliens Love Dinopants by Claire Freedman and Ben Cort. We bought this book at a book fair at Sophia’s Preschool last year. This is another book after the Dinosaurs Love Underpants book. Sophia thinks this book is really silly and laughs at all the different designs of the underpants. In this book, the aliens are looking for more underpants and discover a huge pile of underpants. 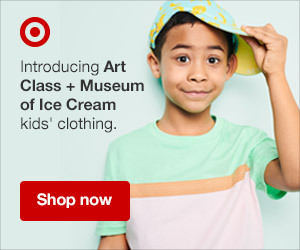 They soon discover that those underpants are the dinosaurs’ collection. The aliens and dinosaurs must decide together what they are going to do with the underpants and if they are going to share with each other. 5. 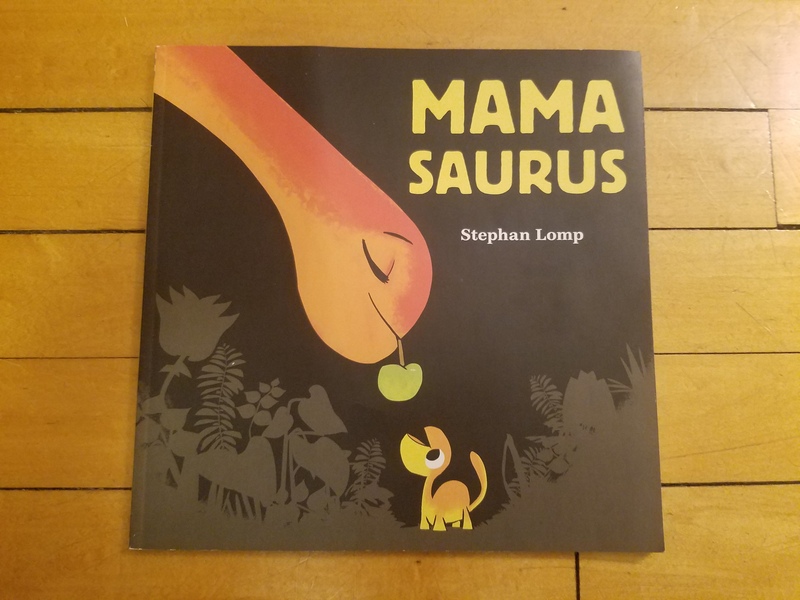 Mama Saurus by Stephan Lomp. We bought this book at a book fair at Katie’s school. This book is filled with cute pictures. It’s about a little dinosaur who wanders off and then can’t find his mama. He asks everyone if they have seen his mama. At the end of the book, his mama finds him and they are together again. 6. 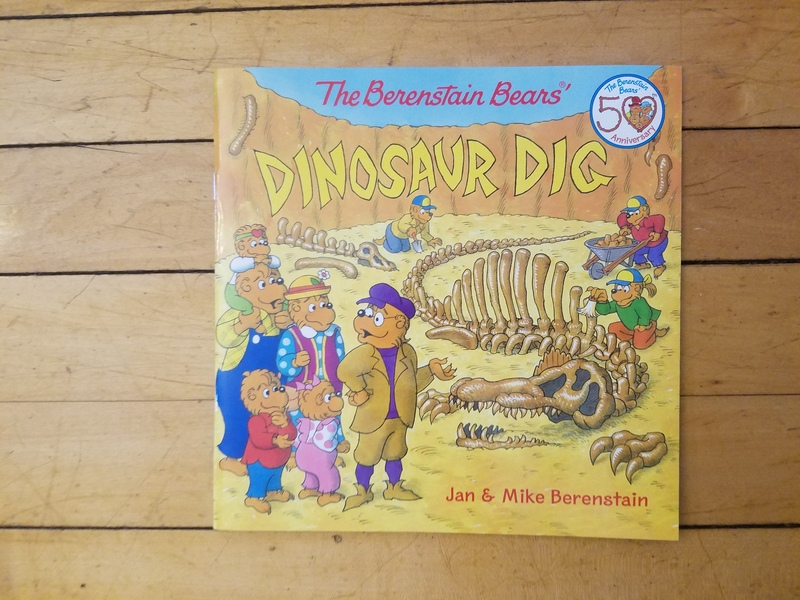 The Berenstain Bears’ Dinosaur Dig by Jan and Mike Berenstain. Sophia got this book along with a set of Berestain books for Christmas. Sophia loves to see the dinosaur bones at our museum, so she loves reading this book. The Berenstain Bears go on a tour of a dinosaur dig and get to discover so many things about dinosaurs and bones. Not only is this book fun, it is educational. Have your kids read any of these books? Do they love dinosaurs too? They should check out these books! This post is part of a post series called Life of Parenthood, which is on the subject of parenting. 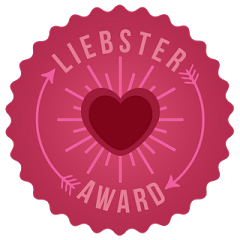 I’ll talk about any adventures we have with our girls to motherhood experiences to fun and games for children to featuring mommy bloggers. These are so great! My oldest daughter was obsessed with dinosaurs so some of these were favorites for us as well. My kids aren’t big fans of dinosaurs so we haven’t read any of these. However, I will probably just get the Berenstain Bears book just because we love their books lol. Thanks for sharing! I love these suggestions! I’m going to pass this post along to a friend, her little boy has all things dinosaur, and I know he’ll love these books! 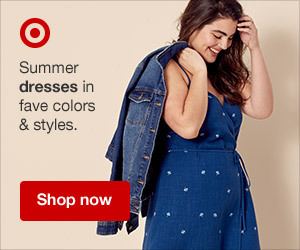 This is a great list, and perfect timing!! My kiddo loves books and just became aware of dinosaurs. We’ll definitely have to check these out. I’ll have to check these out! My son loves dinosaurs! These are so cute ! My little guy is just getting into dinos .. will def check out these books ! My middle son is obsessed with dinosaurs, this list has some great ideas! The Dino birthday party is awesome too! Have you heard of Dolly Pardon’s Imagination Library? United Way will mail a new book once a month. It took me 2 years on the waiting list to finally get approved, but we’re getting them now and they’re wonderful! I actually have. My youngest daughter gets the books every month. Her favorite book is what she got in the mail one month. My second daughter used to get them, but she doesn’t get them anymore since she turned 5 in February. We also have the Moma Sarus. I believe Dr. Seuss makes one in the learning library collection! These are all so cute! My little ones love dinosaurs so I’ll have to pick some of these up! Thanks for sharing! Hayden and I need to check these out! They are so fun and cute! Save Up to 40% on Books Dad Will Love! Blue and White Table Setting Picks from Target + 30th Birthday!